Mid and East Antrim Borough Council staff have getting a better understanding of how to help people with Dementia. The latest in a number of training sessions happening with the Alzheimer’s Society, staff got an insight into what those living with dementia go through on a daily basis. The partnership aims to help change the way people feel about dementia and improve the lives of people living with the condition. 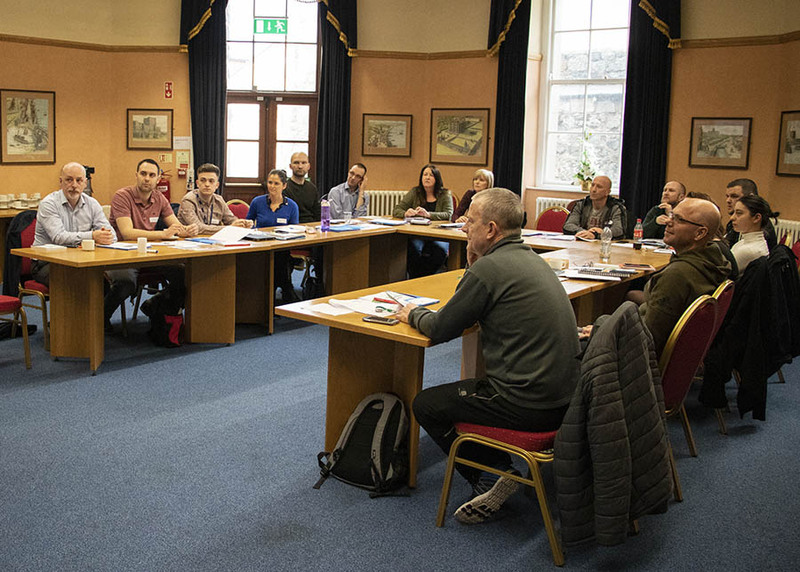 Staff from council’s leisure centres, environmental health, good health and wellbeing and community planning teams took part in the two day training course. They learned all about the work that has been happening to develop Dementia Friendly Communities across the borough, and to raise awareness of the condition. Council is committed to ensuring that its front line staff are able to engage positively with those with dementia by rolling out the awareness workshops in Ballymena, Larne and Carrickfergus. There are around 850,000 people living with Dementia in the UK with nearly 20,000 living in Northern Ireland. Mid and East Antrim has an ageing population, and it is projected that by 2030 this will have increased to the second highest level in Northern Ireland, with almost a quarter of our residents said to be aged 65 and over. One of the strategic priorities in the Mid and East Antrim Community Plan, Putting People First, is that ‘our older people are active, respected and supported in their community’ the Dementia Friendly Programme is a key aspect in achieving this. 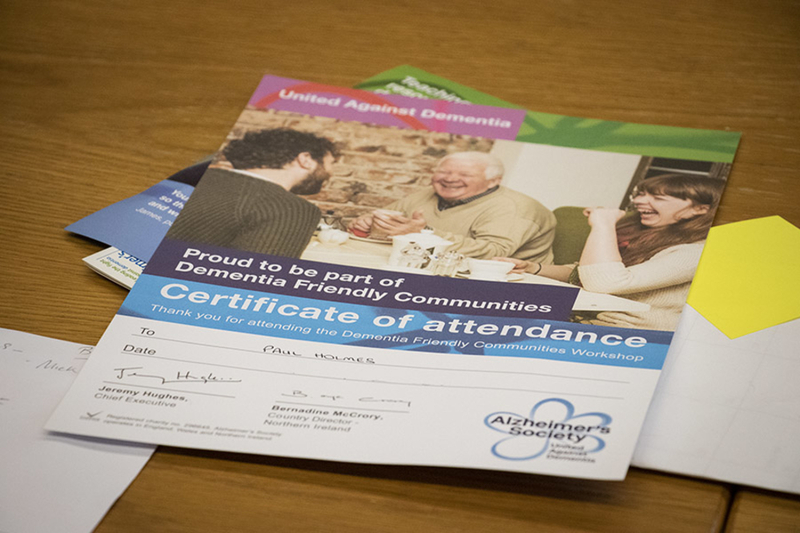 The ‘Dementia Friendly Communities’ programme has been a huge success with over 500 people taking part in the dementia awareness workshops throughout the borough. The Dementia Champions Programme is yet another milestone for Mid and East Antrim Borough Council in achieving a Dementia Friendly borough.